Used Audi A4 Review - 2005-2009 Servicing, MPG, Insurance | What Car? 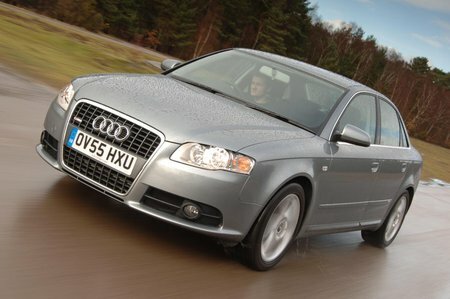 The Audi A4 is cheaper to own than to rivals, taking depreciation into account, and should prove as reliable. Main dealers have a reputation for higher prices, but stick to independent specialists and you can cut up to 35% off your service bills. However, franchised dealers can use this as an excuse to undervalue your car, so be wary when getting newer cars serviced. The 2.0-litre diesels are popular with fleet buyers because of their economy and low group 12 insurance rating. The petrol 2.0T FSI does 36.7mpg and is the more-expensive insurance group 15, so residual values aren't as strong as a result. The 4.2-litre models may have the performance of junior supercars, but running costs will reflect this, with an insurance group rating of 20, a special servicing schedule and only 20mpg. For cars out of warranty, the average repair bill works out to roughly £330 according to Warranty Direct.